Kelso’s Choice are the best. 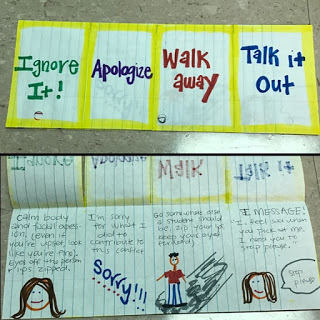 They provide a common language (and visual) to use throughout the school in regards to “small problems” and conflict. 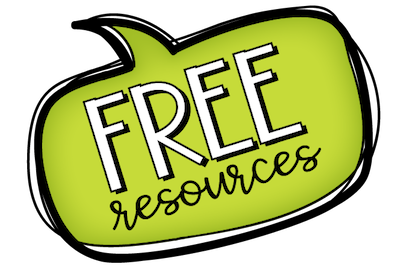 A few years ago, my admin agreed to buy enough posters for every classroom and major common area (cafeteria, gym, etc.) to have one and I used some of my counseling budget to get a DVD (I picked the booster one because the scenarios seemed to be a better match to my school). Pricey, but worth it. It was also great to have the real posters because…I admit…I once handmade my own versions of them and they were pretty rough looking. 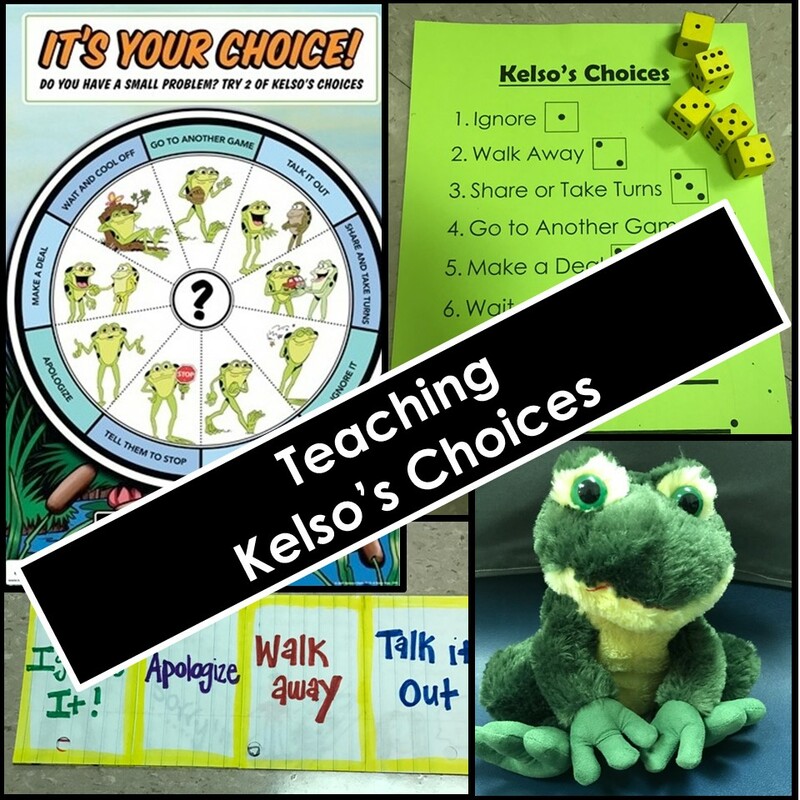 Without the curriculum though, I wasn’t sure how exactly to teach Kelso’s Choices. And then all the TVs and DVD players were removed from classrooms, and all faculty got brand new laptops….that didn’t have CD-Rom drives in them…meaning I lost the ability to play the DVD. 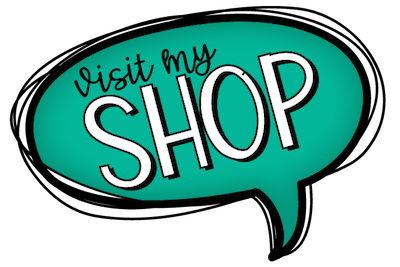 I tried to find a simple way to get it onto a flash drive, but I haven’t succeeded in that yet. 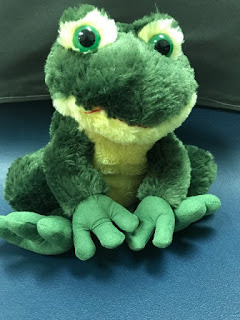 In K and 1st, we bought a cheap stuffed frog from Amazon. 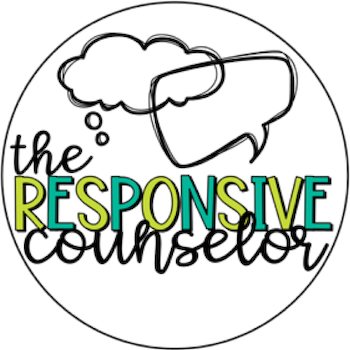 We bring him to the room, introduce him, and explain that he’s going to help us teach what to do when we have small problems. 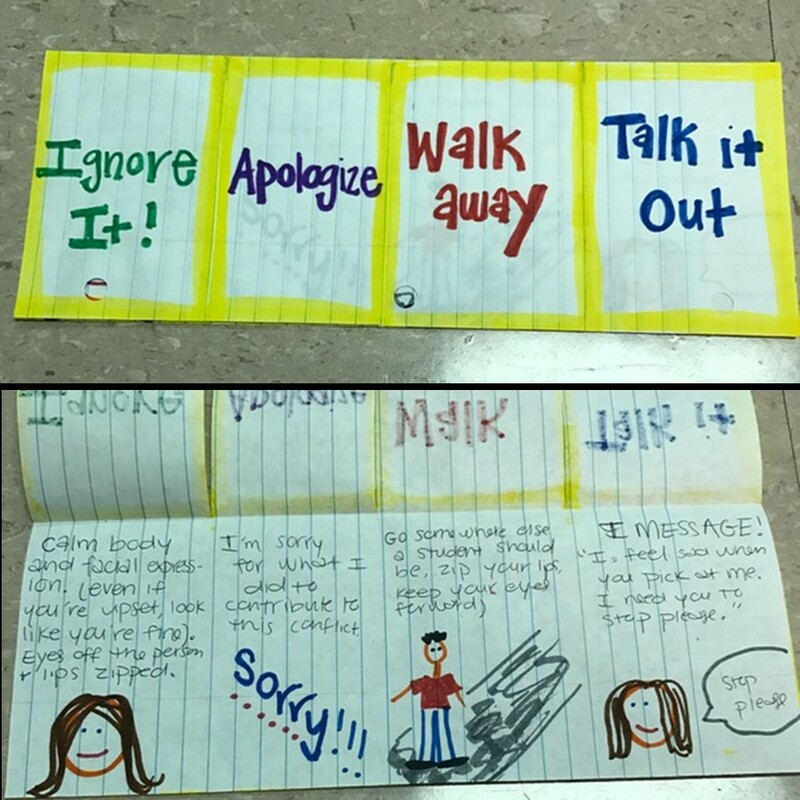 Usually we do this lesson after we’ve taught or reviewed tattling vs. telling so they have some context. -What does Kelso mean by “big problems” vs. “small problems? -Linda copied her again. Should Amy tell the teacher? Why or why not? How many Kelso’s Choices should you try before you go to an adult about a small problem? -What did you notice about how Amy used “ignore”? Did she tell Linda she was going to ignore her? Why not? -Is Linda going to stop copying Amy since she’s ignoring her? Why would Amy choose to ignore, even if it won’t make Linda stop? -If you’re showing this one right after the previous one, you can start it at 1:00 because both have the same intro. -What would have happened if Linda told on Jackie for borrowing the pencil without permission? -If you choose to wait and cool off, what are some things you can do that will help you calm down? in line in front of all of them. 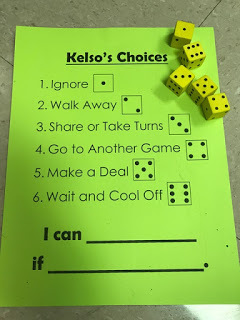 In 3rd grade as the first part of our mini-unit on conflict de-escalation, I projected the non-verbal Kelso’s Choices, gave each group a die, and had them take turns identifying when they could use the different choices. 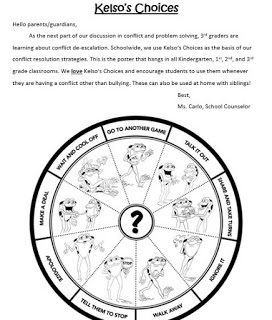 We send home a letter to the parents with a picture of the wheel and explaining that at school, we expect students to use Kelso’s Choices when solving small problems with peers. Often times (depending on need), the younger grades get separate lessons on teamwork that focuses sharing and taking turns. One year, we created foldables after learning briefly about the choices. Here’s a pic of the model my awesome intern at the time made. “Talk it Out” is MY FAVORITE THING EVER. Other schools call them “I-Messages”. We either incorporate this as a significant component in our Kelso lessons OR we do an entire lesson on this. For 3rd and 4th grade, I send the teachers this PPT to have them do Four Corners as a Morning Meeting activity. 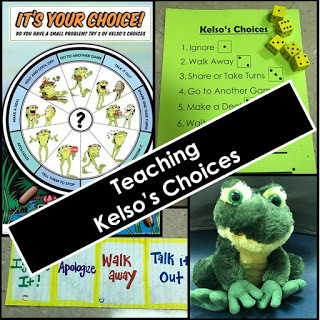 This asks students to identify, by moving to a certain corner of the room, which of the most popular Kelso’s Choices they would use given different conflict scenarios.